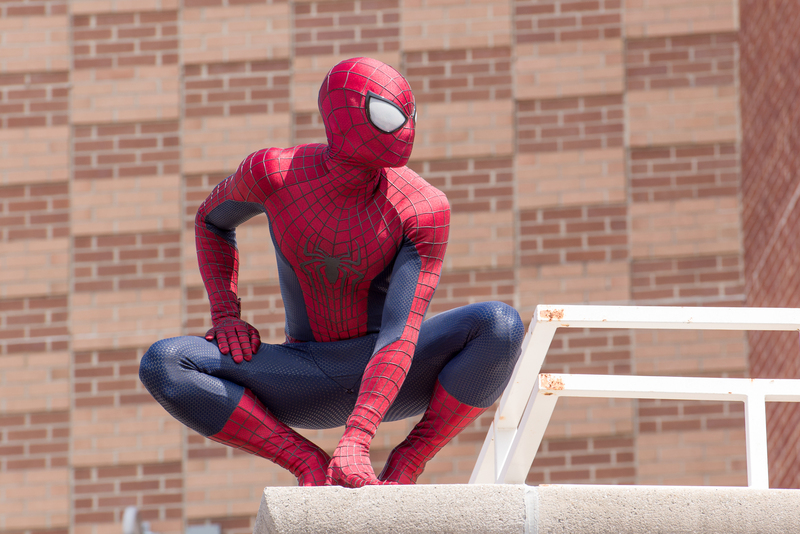 The music video for the Amazing Spider-Man 2 single could work as its own film. Despite the intense excitement that hearing that Alicia Keys, Pharrell Williams, Kendrick Lamar and Hans Zimmer were collaborating on a song should have instilled in just about everyone, the single fell a little short of our expectations. However, what it lacked in aural cohesion it more than makes up for in visual splendor. The video was released on Alicia Keys's YouTube channel today and it has all the dark and gritty vigilante hero feel of the film that inspired it. Keys is dressed all in black and sitting on a chair like it's a throne in the middle of an empty warehouse. At least, it looks like a warehouse until she approaches a skyline view of the city that most warehouses can't brag. Pharrell, who produced the song, makes an appearance in the video, intently watching a wall of security cameras and toying around with synthesizers. People run through the halls unfurling a roll of wires, interspersed with scenes from the movie, and their actions finally make sense when it culminates in a light show playing out across every building in the city. Any New Yorker can tell you that there's nothing funny about flashing building lights on and off like that no matter how cool it looks, but in the narrative of the music video it not only does look very, very cool, but it also ties in with the electronic-based power set of Spider-Man's latest foe. Keys, Williams, Lamar, and Zimmer come across as anti-heroes fighting for your right to party all through the night and play a giant piano in the middle of the street if you want to. If you weren't pumped for the movie before, then you will be after watching their collaboration come to life.